How's Mauritius Software Craftsmanship Community going? November 24, 2013 is your 6 month anniversary as organizer of Mauritius Software Craftsmanship Community -- way to go! We wanted to check in again to see how you're doing and if we can help out. "I am so glad that I can just appoint a couple of people to take care of things, help moderate the message board, and assist in putting up Meetups. This is a big relief for me!" Thanks for your gently reminder about our half-year anniversary. Well, what should I say? It's been an awesome time so far. We are counting 50+ craftsmen and there are still more interested people in our community. Within less than 4 months we actually managed to be THE meetup.com community in Mauritius, with now almost double the amount of members to the next listed group. By the end of the year, I am actually looking forward to close in at 100 members. Your portal is an absolutely asset towards the organisation, announcement and management of our gatherings. Our members simply love it, and I personally take a big advantage out of the mobile apps. It is just amazing to have this kind of flexibility at hand. 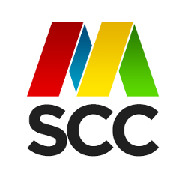 Recently, we started to promote the MSCC within the professional IT world of Mauritius. We already got in touch with a number of companies to see whether there are potential synergies between our vision of an technology-agnostic IT community and their daily routines. What kind of benefits the MSCC might be able to offer to their employees and in return to elaborate on possibilities they could support the community. Of course, they don't know about the MSCC and it's our 'job' at the moment to create awareness. There will be company internal circulars with a one-page overview of MSCC and we are currently working on a brief presentation, too. We're so happy to hear you've been able to build such a strong community. Congratulations! Keep us posted on your progress! If there's anything we can do to help, please don't hesitate to reach out. Truly, it has been an amazing journey so far, and I'm really proud of all those passionate and enthusiastic craftsmen in the Mauritius Software Craftsmanship Community that take their free spare time and come to network and socialise with other IT people here in Mauritius. Our plans for 2014 are ambitious but you have to reach for the stars to achieve great things. Thank You, craftsmen - This is your community!